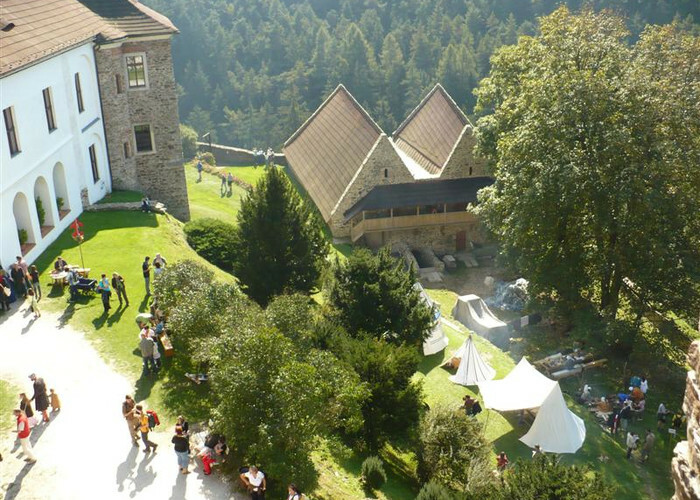 The tour including history from the 13th century till the 16th century, cistern, cellars, tour through the Paradise palace beautiful view to the countryside from the bridge and special tower "Donjon". 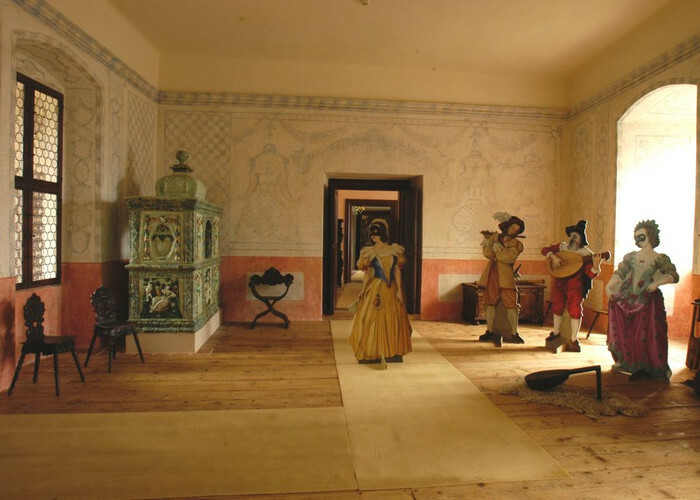 There is an exposition inside the palace that should show you the life of aristocracy in a country place like Velhartice in the time of renaissance. The tour including history from the 17th century till to present. 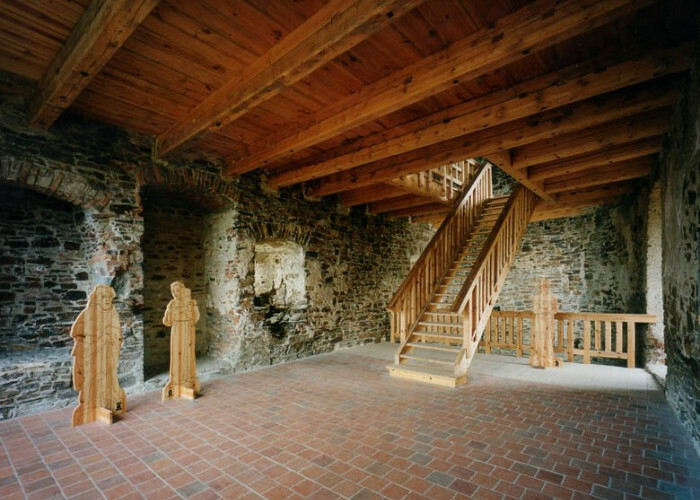 Courtyard include: remains of a distillary, brewery (occasionally used for hosting various exhibitions), games for children, two medieval cellars, cistern and a souvenirs shop with refershments. 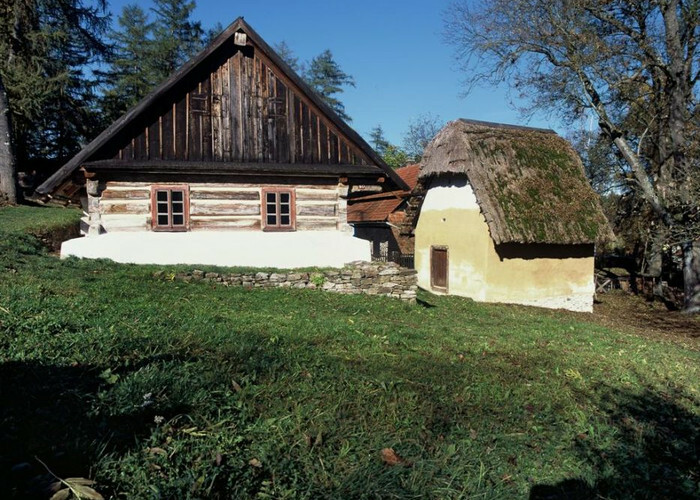 The open-air museum of the original Šumava houses is in front of the castle.